CampusGroups’ self check-in technology provides a fast, convenient and unobtrusive way of checking and recording attendance. 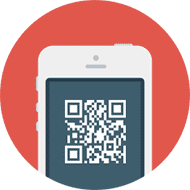 Post an easily printed QR code PDF on the classroom door or project onto a whiteboard. Students verify their attendance by using their smartphones to scan the QR code directly from the CampusGroups app. With real-time attendance data at your fingertips, you can access crucial insights into your class attendance statistics and generate instant reports at any time. CampusGroups integrates with existing systems such as Banner and EMS, allowing you to easily create classes, sessions and class enrollments on the platform. Keep a running record of classroom attendance for classes and individual students: who’s attended class, who’s showing up late, who’s missing class. Save time and money: No roll call or paper sign-in sheets and manual data. No need for staff check-in personnel. Allow students to scan themselves in to and out of class on their own, freeing up lecturers and teaching assistants to focus on coursework. Monitor attendance as its being taken with super fast check-ins (while automatically gathering insightful attendance data). Collect, organize and analyze comprehensive classroom attendance data. Generate and export instant reports on your data to share and keep accurate records. CampusGroups offers a full suite of powerful and flexible tools to help you gather data at events, classes, orientation, pop-up booths and more. For more information about CampusGroups attendance tracking software, please do not hesitate to contact us or request a demo.